In my mind, Talib Kweli is pretty much the poster boy of conscious rap and the idea of being an ‘underground king’ in hip-hop. Long gone are the days of Black Star and imagining him as hip-hop’s next prodigal son, but in the decade plus since he’s more than managed to build a highly respectable career nonetheless, with a rabid core fan base to boot. 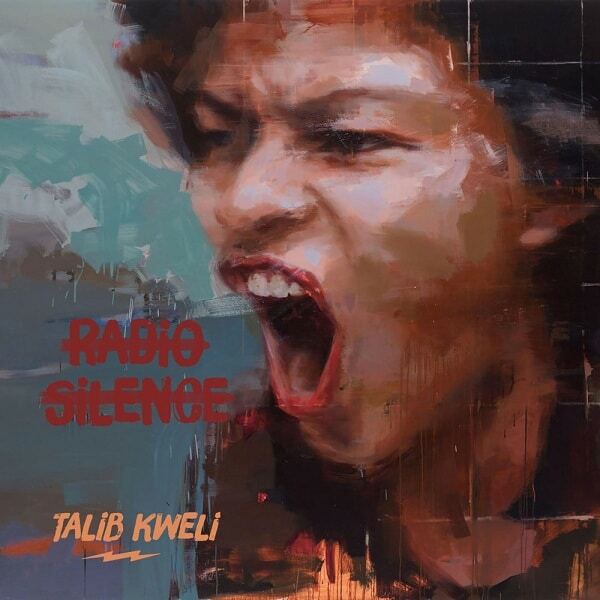 Radio Silence was his first project proper since the orange one took office and considering his history of being one of hip-hop’s most vocal social activists, the album was surprisingly devoid of much commentary on the state of society today. And that’s too bad because while I don’t always love political and social messaging in my music, I was particularly interested in hearing Talib Kweli’s thoughts and perspective on the matters at hand since he is one of the best at doing so. This was a huge missed opportunity for me and one that left the project feeling like just another solid project from the veteran MC without anything of particular note to elevate it from good to great. But if you miss that real ‘soul’ of hip-hop and real bars, then you can do much worse than Radio Silence. He even managed to get the first verse from Jay Electronica in about 30 years. Have you heard Radio Silence? What’d you think about it? Were you hoping to hear more topical social commentary from Talib Kweli? Let me know in the comments below and be sure to leave your own ratings and reactions to the album. There was a shocking lack of topical social commentary from one of rap's most vocal social activists, and I think that was a huge missed opportunity. But if you miss that real 'soul' of hip-hop and real bars, then you can do much worse than Radio Silence.